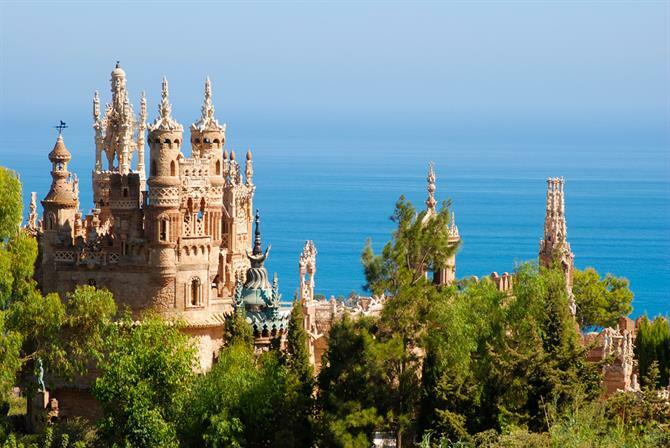 The Colomares Castle known locally as 'Castillo de Colomares’, in Benalmadena, is one of the most fascinating tourist attractions the municipality has to offer. It's not really a castle, it is a monument dedicated to the life and adventures of Christopher Colombus. The castle was built between 1987 and 1994 by Dr Esteban Martín Martín, a medical practitioner from the United States. Dr Esteban, amazed by the lack of homage and information afforded to this great explorer, set about creating a castle that would represent a suitable honour to the discovery of the Americas by Christopher Colombus. Looking at this exquisite fairy-tale castle you could never guess it was designed by a doctor, and built by two local builders. The design unifies various styles which had a marked effect on Spanish culture: Byzantine, Romanesque, Gothic and Mudejar. The doctor and his team spent seven years creating this marvelous monument, a labour of love completed entirely in their spare time. Covering an area of 1,500 meters, it is the largest monument in the world to the explorer. As you wander around you find various elements relating to Christopher Columbus and his historic journeys, like the finely carved statues of the three ships that made the trip to America. The whole structure is meticulously carved with symbolic representations of the intrepid discoveries along with the coats of arms of the Catholic monarchs and other gentry that accompanied the expeditions. Inside you will be able to see a large book relating the details of the voyages of Columbus along with more carved references to the three main cultures of the period - Judaism, Christianity and Islam. 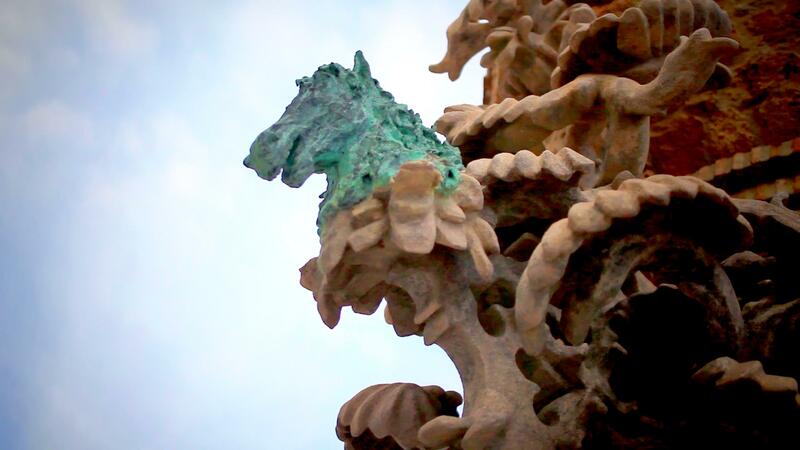 A horse's head decorates one of the spires of the castle, just one example of the many details incorporated into the structure. 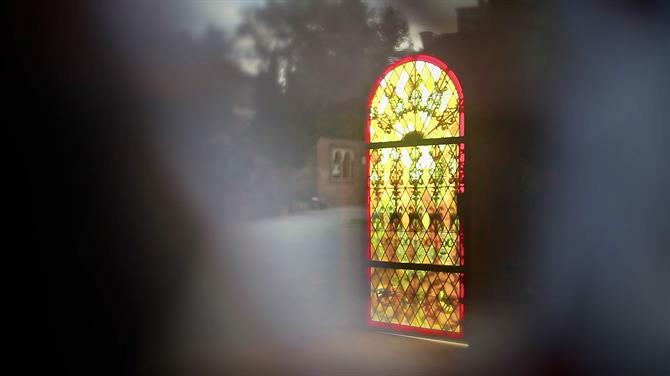 Another curiosity is the church found inside the building which covers an area of just 1.96 square meters and is listed in 'The Guinness Book of Records,' as the smallest church in the world. Alongside the church is an empty mausoleum in which, it is hoped, that one day will house the remains of the great seafarer. Over the years, Colomares Castle has been used as a falconry, then as a reptile centre. Today it remains as one of most popular tourist attractions in Benalmadena, an historical monument to dreamers and enthusiasts, an enchanting fantasy-like architecture and a must-visit destination if you’re ever in the Benalmadena area. A visit to the castle only costs €2 for adults and €1.30 for children and pensioners. They also have special group prices, as well as qualified staff to carry out the guided tours. From the traffic lights in Benalmadena head down Carretera Costa del Sol and just a 10 minute walk will get you to the castle at Finca La Carraca.